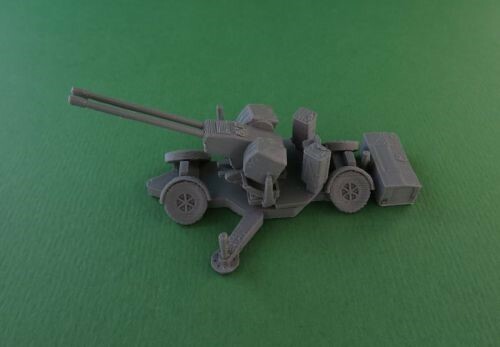 We've recently released the Oerlikon GDF 35 mm twin cannon anti-aircraft gun. This entry was posted on Wednesday, February 27th, 2019 at 09:25 and is filed under News. You can follow any responses to this entry through the RSS 2.0 feed. You can skip to the end and leave a response. Pinging is currently not allowed. This is thenfirst model fromthis company that I have seen that looks reasonably well printed. Let’s hope this trend continues.